The many adventures of Tinka! Snow doesn’t stop the Golden Retriever, Tinka. She runs and plays and sleds with her boy. But when her friend Millie the beagle shows up, off races Tinka. And she gets lost — till her boy finally rescues her. HEILIGMAN, Deborah. Snow Dog, Go Dog. illus. by Tim Bowers. 30p. Amazon/Two Lions. 2013. RTE $15.99. ISBN 9781477817247; ebk. $9.99. ISBN 9781477867242. 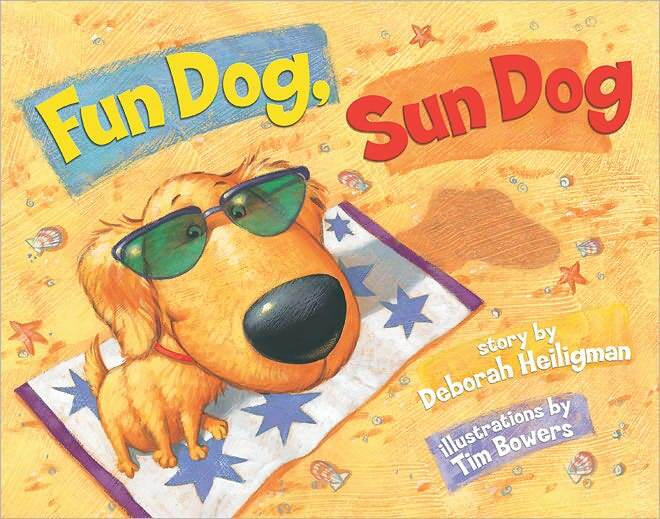 Come meet Tinka, a dandy, sandy golden retriever, and the boy who loves her as they spend a busy, dizzy day at the beach.. Listen to a podcast about the book at Just One More Book. COOL DOG, SCHOOL DOG is my second book loosely based on the life and times of my Golden Retriever, TINKA. In this book Tinka has moved on from getting into trouble on the beach and at the carnival and in the park. Now she is getting into trouble in SCHOOL!! But it all ends happily, of course. And with a great discovery: Tinka loves to be read to! Watch me read to my publishers’ dog on TeacherTube. 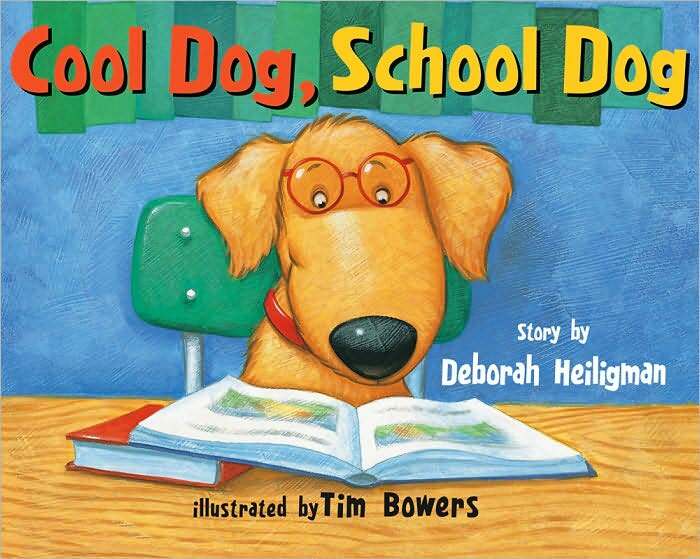 I read Cool Dog, School Dog to Zachary Bear Noone, a great old Yellow Lab who has gone to the Marshall Cavendish offices every day since he was seven weeks old. Fun with Cool Dog, School Dog! 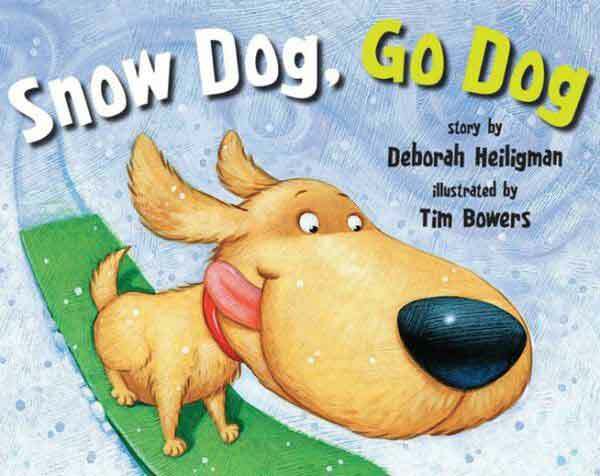 Did you know that children all over the country read to dogs in schools and libraries? 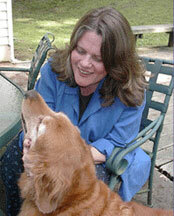 See if there’s a Reading to Dogs program in your area. BARK (Beach Animals Reading With Kids) is a volunteer reading dog program in Southern California. They love Cool Dog, School Dog! Find them on Facebook.